How Long Does it Take for Marijuana to Take Effect When Smoked? 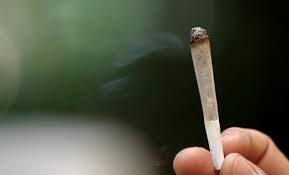 When herbal cannabis is smoked, the active ingredients in cannabis—THC, CBD and other phytocannabinoids, as well as terpenoids—are vaporized by the heat of combustion and inhaled. Inhaled constituents quickly pass from alveoli into the bloodstream and readily cross the blood-brain barrier. Psychoactive effects appear within 90 seconds, reach a maximum after 15-30 minutes, and taper off within 2-3 hours. This short onset of action makes dose titration possible, by spacing inhalations at 90-second intervals.